A man has been jailed for six years after admitting drug dealing and possession offences and possessing a knife in public. Oliver Carson, 23, of no fixed address, pleaded guilty to possession with intent to supply crack cocaine, possession with intent to supply heroin and possession of a bladed article in a public place when he appeared at Canterbury Crown Court on Friday 10 March 2017. Carson initially provided false details to an officer when he was arrested in Margate on Friday 23 December 2016 but admitted he had crack cocaine and heroin in his possession. 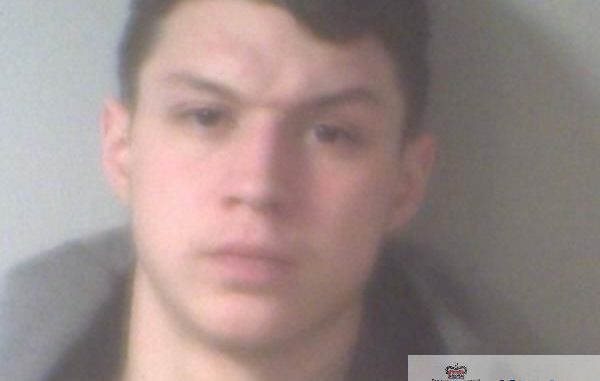 A search revealed he had 16 small rocks of crack cocaine and nine small cling film wraps of heroin in his jacket pocket and a three-inch vegetable knife in his bag. Police also seized two mobile phones and £30 in cash. Carson was bailed to return to Margate Police Station on Wednesday 11 January 2017 but failed to surrender to custody. On Wednesday 8 February 2017 police were called to an incident at an address in Adelaide Gardens, Ramsgate. When officers arrived they found Carson in the address and he was arrested and subsequently charged. Carson was sentenced to five and a half years for the drug offences and six months for possessing a knife in public, to run consecutively. Investigating officer Detective Constable Lee Heptinstall said: “The quantity of individual drug wraps found in Carson’s possession clearly exceeded what would be considered personal use.